The Cattle Shed is situated in arguably one of the most scenic of spots, the magnificent scenery from the property down the valley and beyond to the Ladder hills and to the peaks of the Lecht Mountains are truly inspiring. The location is ideal for exploring the Cairngorms National Park. 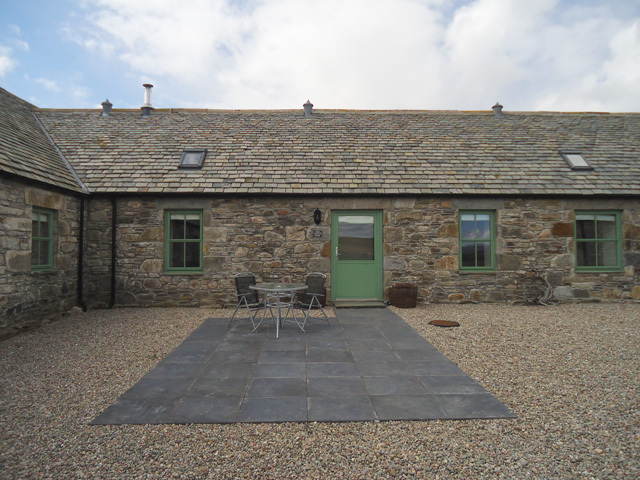 The property part of an original barn steading is adjacent to two other properties, The Grain Store and The Mill, both of which can be booked through us making the properties ideal for a large family or a group of friends. The property, the smallest, which is ideal for couples, has been painstakingly converted and rebuilt by the owners, now retaining much of its original character, with double height vaulted ceilings and exposed beams. The official name for the steading is Balneden, meaning “farm on the hillside” in gaelic, and records show that it was first used as a farm from the 1740’s. The owners are located nearby and are able to offer a free shopping service of locally produced food, including meat and vegetables, and a home delivery from Asda can also be arranged. The property all on the one level has been furnished in a contemporary style and equipped to a high standard. It consists of an open plan lounge/kitchen, complete with a wood burning stove, which provides a real focal point to the room. 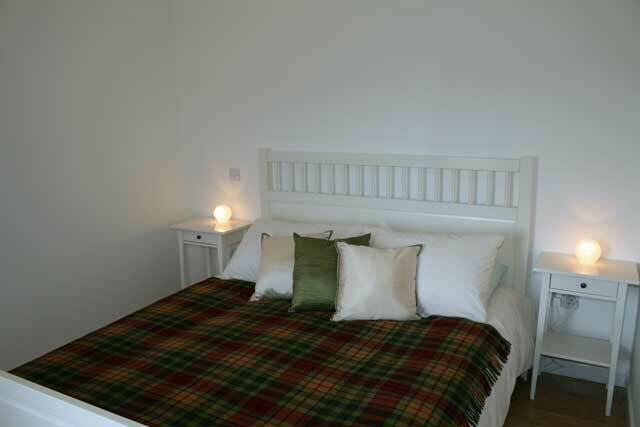 Further facilities include a bedroom complete with a double size bed, and a large wet room with a walk in shower. The property has been floored in the lounge/kitchen, hall and bedroom with oak flooring and these rooms, including the tiled wet room floor all have under floor heating. Outside the property a secluded courtyard and garden area, together with patio furniture is available for the use of guests, an ideal spot for sitting and relaxing after a day exploring. 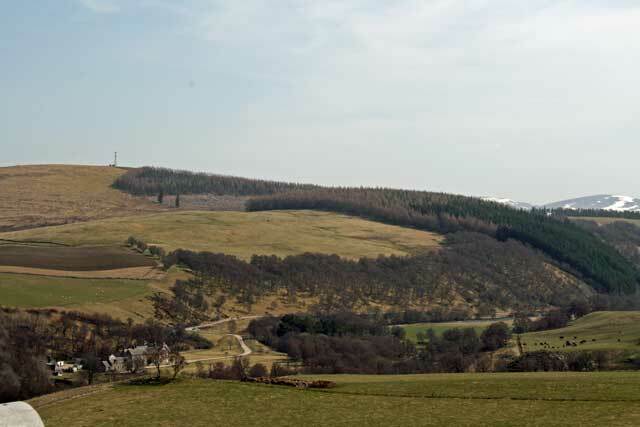 Guests are free to explore the walks and trails of the Glenlivet Estate situated a short distance from the property. 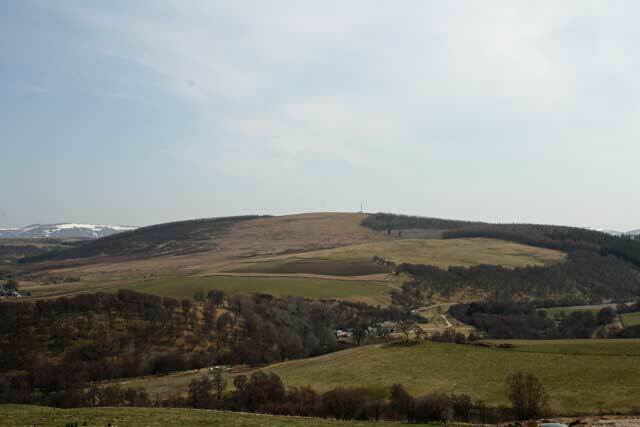 Part of The Crown Estate, the scenery here offers the best of the Grampian Highlands. The various walks many of which are trail marked, are ideal for tackling either by foot or by mountain bike. The rivers of Avon and the Livet run through the estate and their wooded banks offers and ideal habitat for the native birds perfect for the bird watcher. If you are extremely lucky you might catch a glimpse of the various birds of prey including kestrels and sparrowhawk that circle overhead. The heather covered moorland is also home to various other wildlife, such as grouse and the red and roe deer, to name but a few. Within the boundaries of the Cairngorms National Park guests with a historic interest will find the 50,000 acre Balmoral Estate. Balmoral being the autumn home to the Royal Family is open to the public between April and July, and guests can enjoy the magnificent grounds and explore some of the castle, an audio tour around the various rooms includes the Ballroom, with its arts collection and interesting artifacts collected by various Kings and Queens over the last centuries. Other activities available at the castle include guided walks, pony trekking and Land Rover safaris. The Lecht ski centre is within a 15 minute drive of the property, the area straddling the renowned A939 Cockbridge to Tomintoul road, is an all year round outdoor adventure playground. In the winter months the Lecht offers the best of skiing for the family, intermediate or beginner. In the summer months it is transformed into a mountain bike park. The complex complete with two runs Red Fox and Blue Hare, and a skills park, is suitable for all abilities of rider. Both the runs start at the top of the mountain, and access is by the chairlift to the top. Other facilities available at the centre includes; quad bikes and karting suitable for all ages. Open plan living room/dining room with double height vaulted ceiling, exposed beams and wooden floors with under floor heating – living area has wood burning stove, TV with free sat, DVD and iPod docking station. WiFi access available free. Dining table and seating for two. 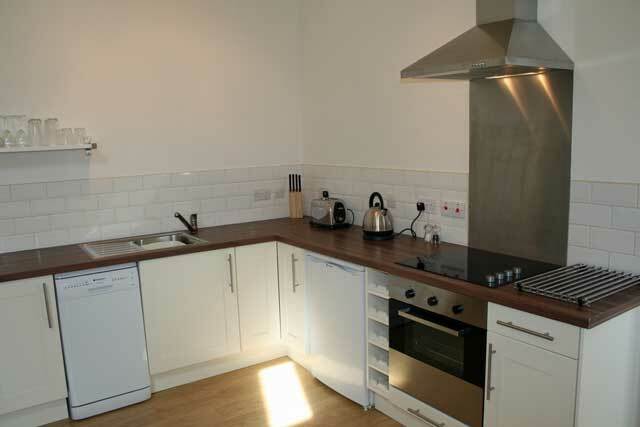 Modern fully fitted kitchen with electric oven and hob, dishwasher, fridge with ice box. Laundry room available – houses washing machine, tumble dryer and freezer – The laundry room is shared with the other properties. Large master bedroom with double bed complete with wooden floors and under floor heating – stunning views of the valley. 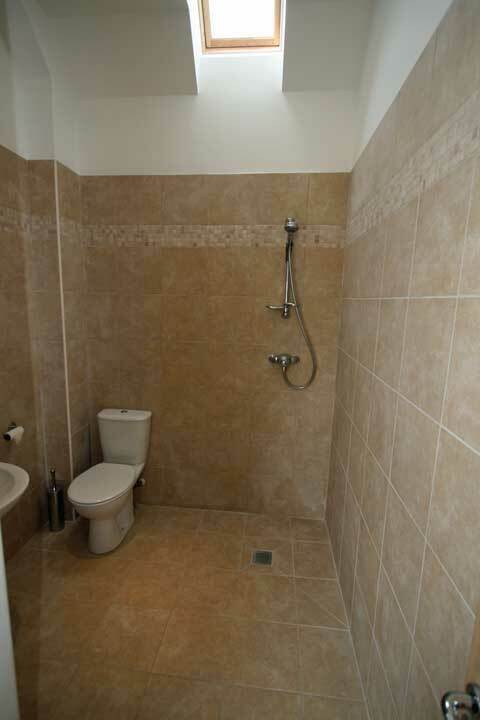 Luxurious fully tiled wet room with power shower, toilet and wash hand basin complete with under floor heating. Outside seating area with garden furniture and use of a charcoal barbecue. Electricity, oil fired central heating and logs included. One well behaved dog is allowed, however as the property is located near a working farm during the lambing season, April 16th - to the end of May, no dogs are allowed. A £20.00 weekly charge applies. 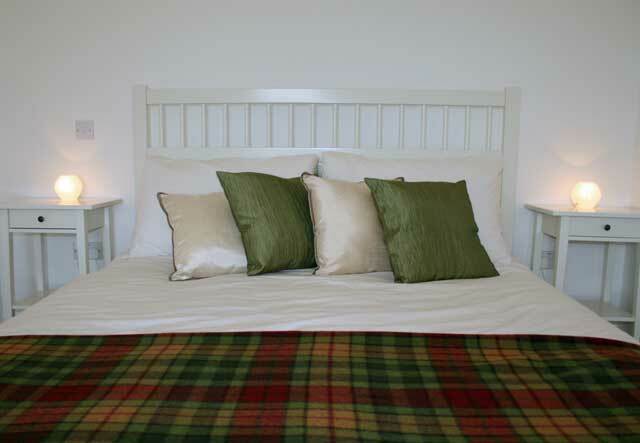 Balneden Steading is a superb place to spend a winter break. Situated in a remote glen, the cottages are still very close to the Lecht ski area and only 40 mins drive from Cairngorm Mountain. In snowy conditions, the 600 metre access path is ploughed daily to ensure that 4WD vehicles will always be able to get to the cottages. The owners have also made arrangements for 2WD vehicles. If the access track is impassable with a 2WD vehicle, there is a parking area at the bottom of the access track, and the owner will collect you and your belongings at the start of your break and drive you up to your cottage. At the end of the week your bags & belongings can be taken down to your vehicle for you. During the week you may need to walk up and down the access track, which is a 5 minute walk from the cottages. The owners provide torches, and you are advised to bring appropriate clothing and footwear to suit the conditions. People driving a 4WD will have no problem with the track. If you are not able-bodied and are driving a 2WD vehicle, it is not advisable to book any of the cottages. Stunning barn conversion situated within the Cairngorms National Park. The process of searching and booking a cottage through WildernessCottages was immemorable- a good thing as nothing stood out as difficult. It is however the first time I have used the website so cannot make any constructive criticism. The Cattle Shed is spacious, warm and has fantastic views from the windows and front door. The cottage owner is very friendly and nothing is too much trouble. It's a great place to unwind with plenty of walking from the doorstep. We would definitely book it again. Wonderful little cottage, great gift basket, warm, plumbing functional, all the amenities of a house, fresh eggs available, easy to access open space behind the cottage to let the dog run around in. Drive there and back was beautiful. Highly recommended. We had an amazing stay at the Cattle Shed. The cottage is of a very high standard and the views are breath taking. Everything was great from the beginning to the end of our holiday. We had our dog with us and there were so many wonderful walks just behind the cottage in the forest trail. We plan to return and would definitely recommend to friends and family. Absolutely wonderful! Lovely setting! Comfortable accommodations! Our holiday was superb, a fantastic week in lovely accommodation I would have no hesitation in recommending Balneden Steading to anyone, it was excellent. 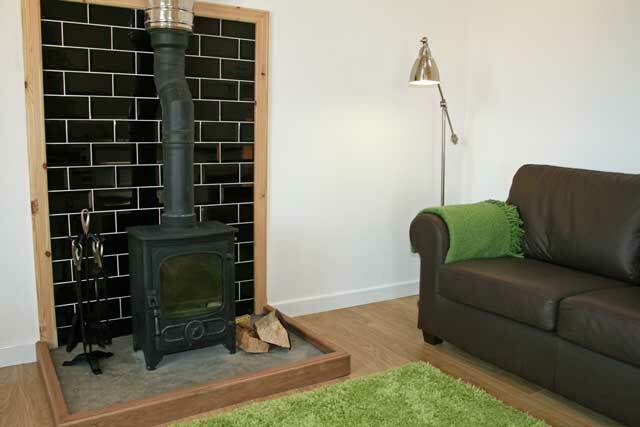 The Cattle Shed is an incredibly well designed, beautifully presented, clean and modern holiday home with every comfort. It has a spectacular setting, perched high on a hillside with far reaching views. The friendly owners have equipped this place to a very high standard, such an eye for detail has made this an OUTSTANDING place to stay. Very highly recommended indeed.